In North America, parallel developments were taking place. On July 24, 1874 a Canadian patent was filed by a Toronto medical electrician named Henry Woodward and a colleague Mathew Evans. They built their lamps with different sizes and shapes of carbon rods held between electrodes in glass cylinders filled with nitrogen. Woodward and Evans attempted to commercialize their lamp, but were unsuccessful. 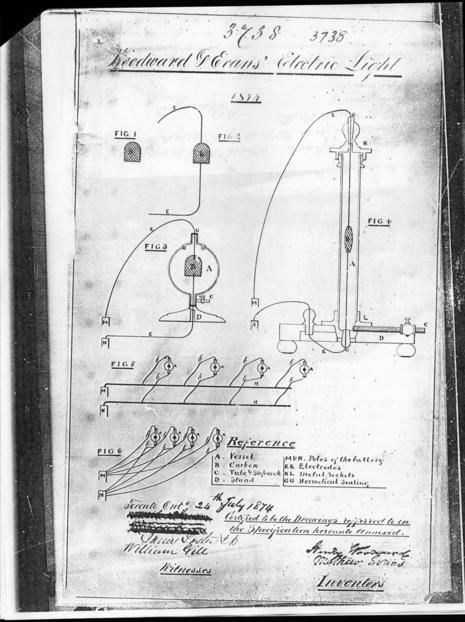 They ended up selling their patent (U.S. Patent 0,181,613) to Thomas Edison in 1879.